Game 120: Phillies sink Dodgers with late home run. Maikel Franco‘s two-run home run off Grant Dayton lifted the Philadelphia Phillies to a 5-4 win over the Dodgers. The box score is here. Andrew Friedman offered a glowing report on Yasiel Puig‘s progress in Triple-A. Adrian Gonzalez hit two home runs as the Dodgers beat the Philadelphia Phillies, 7-2. The box score is here. 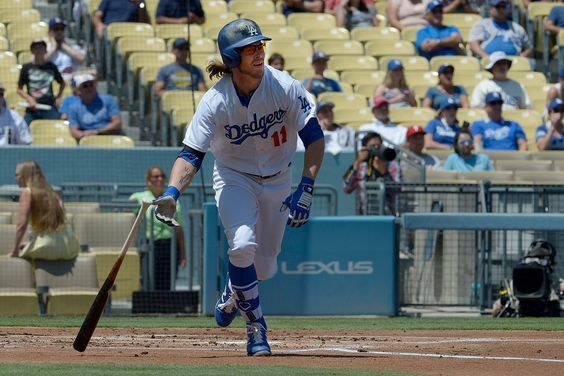 Dodgers right fielder Josh Reddick is confident that his numbers will perk up. Reddick is batting .170 since he was acquired from the Oakland A’s. 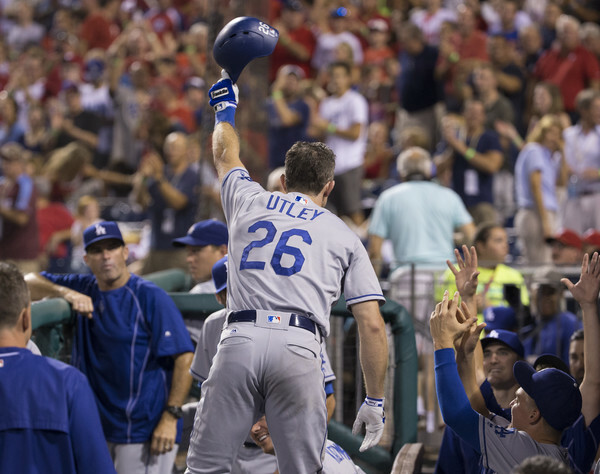 Game 118: Chase Utley is first in Philadelphia’s heart; Dodgers are first in NL West. Chase Utley hit two home runs Tuesday, including a grand slam, in his first game as a visiting player in Philadelphia. The Dodgers beat the Phillies 15-5 and took over first place later in the day when the Pittsburgh Pirates beat the San Francisco Giants. The box score is here. Utley, 37, said he wants to play next year. The latest adjustment to the Dodgers’ starting rotation will see Ross Stripling start Thursday in Philadelphia, followed by Bud Norris Friday in Cincinnati and Brett Anderson on Saturday. Game 114: First place was fun while it lasted (less than 24 hours). The stars were aligned for the Dodgers to win for the better part of seven innings Wednesday, but the Philadelphia Phillies came back to win 6-2. The box score is here. The photo gallery is here. Scott Kazmir was stuck with a loss but provided hope, writes colleague Mark Whicker. Josh Reddick‘s luck finally turned, as he collected a pair of hits. Josh Reddick, with two hits in seven games as a Dodger, is batting second today. 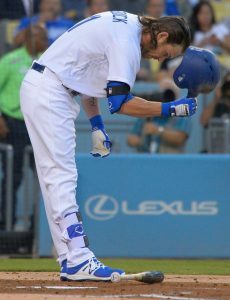 Josh Reddick has occupied two spots in the batting order in his brief time as a Dodger, hitting cleanup on five occasions and hitting sixth twice. Today he is batting second. That seems like an odd place for a player who has two hits in his last seven games, but Dodgers manager Dave Roberts hopes that a change will do Reddick good.